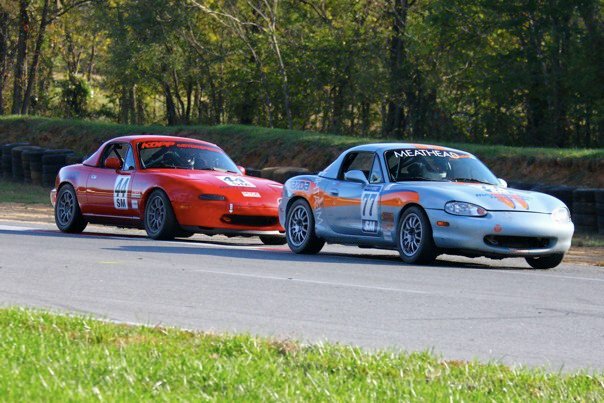 The Mid-Atlantic Road Racing Series (MARRS) held its eleventh and final regional SCCA Club Racing event of the season on Saturday October 9th and Sunday October 10th at Summit Point Raceway in West Virginia. Ted and his brother Larry Cahall both set personal fastest lap times on the final event of the season - with Ted hitting 1:27.735 - completely obliterating his personal goal for 2010 of 1:29.9. Last year, a 1:27.7 would have been a track record, but the track is much faster now and the new track record stands at 1:26.1 as set by Meathead Racing driver Tim Jacobs over Labor Day weekend. Ted finished the Saturday race in 10th place after a 12 place grid. Things on Sunday were not as productive as Ted had moved up from 12th into 10th place before missing a shift. That cost three positions and he finished 13th with his highest weekend point total since he began racing. 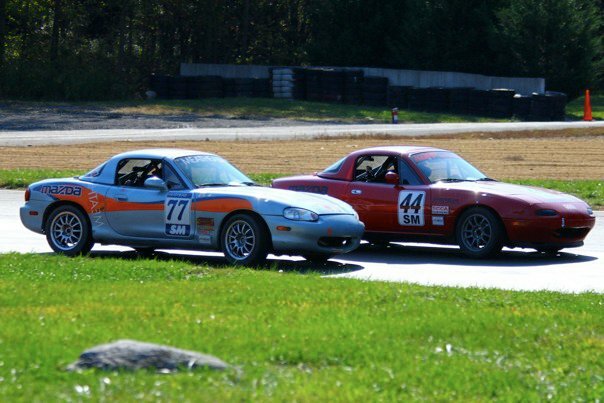 For the 11 race Mid-Atlantic Road Racing Series (MARRS), Ted finished 10th in overall "net" points standing (and 8th in "raw" points). That is a fantastic improvement over last year's 21st place net finish and 28th place in raw points. He missed 9th place in "net" points by 7 points - which is 1 or 2 spots in a feature race. So close! It was a really fantastic year and Meathead Racing made it all possible with Wendy's cooking, Mike's advice and counsel, and Glenn's deft tuning and repairs. A HUGE shout-out to Meathead Racing! See Facebook photos of Saturday's and Sunday's races courtesy of Karen Dildei.